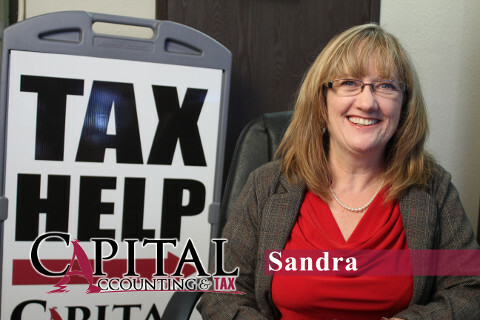 At Capital Tax Service Inc. in Kent, WA we are able to help you with all of your income tax requirements, including the filing of your returns – federal, state, and local. We have a comprehensive understanding of how tax legislation at all levels affect you and your business. As part of our intelligent tax preparation services, we continually search for ways to minimize your federal, state, and local tax obligations. We offer our services in Kent, Renton, Maple Valley, and the surrounding areas. Through our effective tax preparation and planning services, we can help you reduce and minimize your future tax liabilities. We assist you in proactively managing your personal and business taxes and related issues, including providing you with clear understanding of how future business opportunities may affect your tax status and vice versa. Based on a comprehensive tax and financial analysis, we can advise you on the best course of action for your particular situation. As your dedicated business partner, we can help you manage any particular business opportunity or difficulty. We are here to consult with you regarding your business projects with advice on decisions that affect the future of your business. As part of the state and federal income tax help we provide, our team offers experienced representation before the IRS or state tax authority if you or your business is facing a tax issue from one of these entities. We can help you structure your state and trusts to keep your tax liability to a minimum and also ensure your estate seamlessly transitions to your heirs. Additional services we offer include: Business Entity Selection, Retirement Tax Planning, Sales Tax Services, Business Coaching, Tax Debt Settlement, and Audit Assistance. We are your tax solution team! Our team can provide you with a comprehensive analysis of your personal tax situation and tailor an effective solution to address all of your tax obligations. Give us a call today at 425.251.3203 or complete our contact form to request a free 30 minute consultation. For a free 30 minute consultation contact us. We take away the stress of doing your taxes. Don’t let our fun, relaxed atmosphere fool you – we are high gear, high focus, hard working to get you the refund or deductions that you deserve!